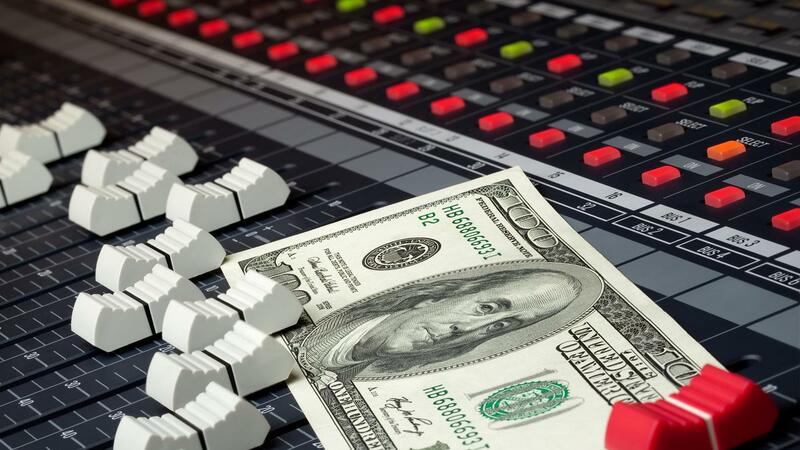 7 Effective Ways To Make Money as a Music Producer! Looking to turn your passion for music into a full-time job? If you want to work in the music industry, and possibly even make a career out of it, you’ve come to the right place! We’re here to tell you, that as a producer, you have so many options when it comes to making money in your field! From selling beats, sample packs, or merchandise, to offering production services, or even just collecting your royalties the right way, there are a variety of money making tactics that can financially benefit you. However, with so many viable opportunities, how can you know which ones are the right ones for you? Thankfully, we have put a list together of seven different ways to start earning money through music production to allow you to find the best opportunity for you, given your individual skill set. After reading this in-depth guide and reflecting on your abilities, you’ll hopefully have a clear understanding of what you need to do to get a little closer to making music your full-time job! The music industry has radically changed in the past decade. For modern “bedroom producers” and upcoming artists, it’s getting harder to make money in traditional ways. That is, by signing tracks to major labels or getting booked for festivals and world tours. Most of the major labels now only want artists with a well-developed brand whose sound brings something new to the table but also works on the radio. Getting signed to a label and becoming a touring artist has its own unique challenges that varies heavily depending on what type of artist you are. Since this can be complicated and requires personalized advice, we are going to focus on other, simpler ways to make money as a music producer. The good news is that we live in the era of accessible internet and easy sharing, so a whole new set of opportunities is present for talented producers to earn money doing what they love! In the following sections, we will reveal seven techniques you can implement as an artist to earn money and hopefully get you closer to making a living off your music production. Let’s start with the most obvious one: royalties. The process of earning through royalties is essentially making high-quality music and rightfully collecting money for each of your songs’ downloads, streams, and purchases. 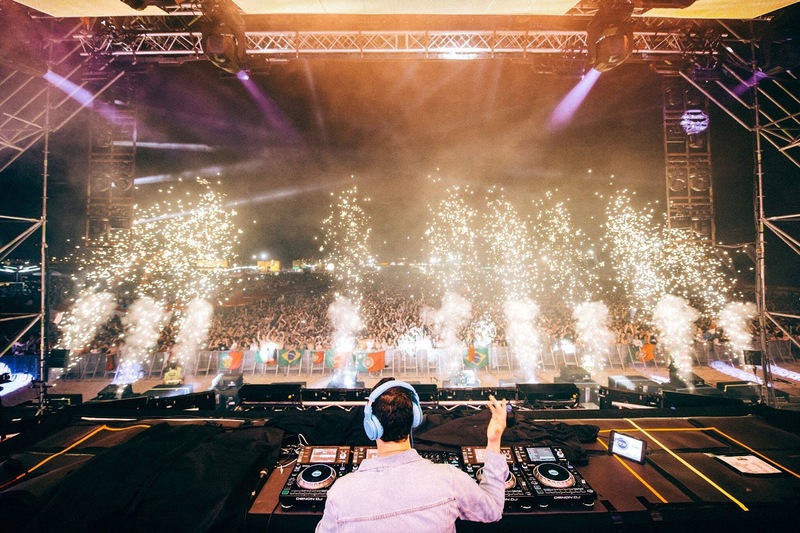 As an example, whenever you listen to DJ Snake on Spotify, or download his latest track on iTunes, he is generating money off your stream or download. When one of his songs are downloaded, he gets a percentage of the sale price. When his songs are streamed, he gets a pre-negotiated rate for each play. This is a process called Royalty Licensing, which is basically collecting your fair share of profits from an original piece of music. To do this correctly and efficiently, you need to make sure that you register your music in one of two ways. You can register to a Performing Rights Organization (PRO), or you can register to an Independent Distributor. We’ll go over the difference between these two shortly. For now, all you need to know is that both services allow you to own the copyright to your songs and get paid for their use. This process can be very confusing at first, so we’ll go in-depth into the different aspects of Royalty Licensing so that you know exactly how to get paid when you release new tracks. Mechanical Royalties: Mechanical royalties are what you earn when your music is sold on a physical medium (such as vinyl, CDs, cassettes). However, nowadays this also applies to streaming plays (Spotify, Apple Music, Tidal) and digital downloads (iTunes, Beatport). Performance Royalties: Performance royalties are what you earn when your music is being broadcasted/played live in a club, radio, TV, or streamed online within a mix. Royalties are not always easy to track. If you’re song was being used in an online mix without your knowledge, you could be losing out on money that you could have earned. This is why PRO’s and Independent Distributors are an important element of Royalty Licensing. They exist to make sure you get paid when someone else uses your music. Let’s take a closer look at these services and how they affect your royalty collection. A PRO collects royalties on behalf of the songwriters and producers for the use of their intellectual property - their music. To do this, PRO’s accurately track down the number of plays or performances of your track so you can be paid accordingly. They are primarily concerned with the collection of performance royalties. BMI: Collects publishing royalties (performance royalties) for the Public Performance of musical works. It’s free to join, no fees or annual dues. ASCAP: Collects publishing royalties (performance royalties) for the Public Performance of musical works. 50 USD one-time payment, no annual fees. When you sign-up with one of these, you will be able to submit your tracks, manage your profile, and keep track of the performance royalties you’re earning. However, you must have a valid US bank account (or from the country whose PRO you’re trying to get affiliated with). However, most of the Independent Distributors are now able to manage your basic royalty tasks while working in synergy with PRO’s to collect royalties on your behalf. On top of that, they also act as Publishing Administrator, collecting more types of royalties than PRO’s. Let’s determine how an Independent Distributor can help you collect royalties. As a songwriter, producer, or musician, you have access to many different Distributors/publishers that will allow you to distribute your music to most online platforms, while also taking care of the revenue collection on your behalf. The difference is that the Distributor’s main job is to publish your music on the online stores you request, such as Spotify, Apple Music, Tidal, iTunes, Amazon, and so on. By doing this, they also handle the collection of your Mechanical Royalties. PRO’s only track the royalties payable to you. They don’t publish your songs, so you will still need to find a Distributor or a label that takes care of this. What’s great about the Independent Distributors of today, is that any artist who produces original music can get it on any platform and get paid for it! Using Independent Distributors is the easiest way for you to just concentrate on music and let these companies do the work for you. Companies such as Tunecore and CD Baby collect both performance and mechanical royalties, and pay you directly every few months. On top of that, they distribute your original music to any online store you want, which PROs, as we mentioned, don’t do. Also, if you register with CD Baby Pro, they will automatically affiliate you with a PRO (in the US or Canada), register your songs with royalty collection societies around the world, collect the royalties, and pay you! Distrokid: $19.99/year flat fee. Upload unlimited songs. Instant access to Spotify for Artists when you request access through DistroKid, takes 0% of your royalties. 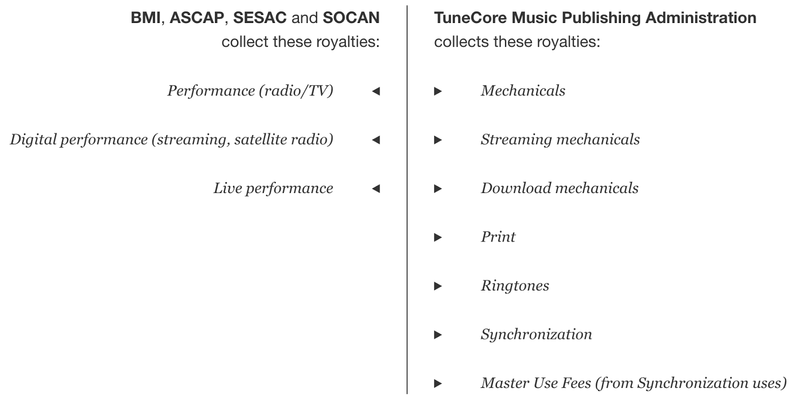 TuneCore: Flat fee, 10$ for single, 30$ for album (first year, then $50 per year), takes 9% of your royalties. CD Baby: Flat fee, $13 per single, $49 per album. Takes 9% of your royalties. AWAL: No flat fee, keeps 15% or royalties. For more information about how to upload your music onto Spotify, click here. As a creator of a piece of music, another job option is to license it for use on visual media, such as TV commercials, promotional campaigns, films, and other forms of video content. This is called Synchronization. This is a highly lucrative source of revenue if you’re able to work fast and come up with creative musical ideas on tight deadlines. Some of the best stock music composers can make over 35 thousand dollars a year by selling soundtracks on music libraries. But how does this work exactly and how do you get your music on these libraries? First of all, these tracks are not the same ones you would publish on a label or hear on the radio. They are custom pieces of music that would fit with the library/company’s request based on the job. Most of the time they’re not full tracks, and in some cases, you will have to produce one based on the video content they provide you. Now, most professionals are not going to contact producers directly to get their music for the job, but they will rather go to their trusted Music Library, where they have a catalog of music available for them to dig through and purchase. If you want to reach out to these libraries to submit music, you must have an extensive resume of high-quality tracks to showcase. Make sure to create a custom folder of stock music to show them how versatile you are as a producer. If you also released on labels, make sure to let them know. This is a huge plus as it proves that you’re an established producer! Last but not least, here’s a quick tip for you to get better in making stock music. You can pick out any commercial or video that you find online, mute it, and try making a custom track that would fit with it! This way you will start learning how to produce music, following the flow of an already existing media. Give it a go! The use of royalty-free samples has become a huge part of music production, especially in electronic music. Producers are always hunting for new, high-quality samples to develop their sound. Having professionally processed samples is essential to achieving a polished track. That’s why sample pack companies are always looking for talented sound designers and producers that can create high-quality samples of the latest genres and trends. If you have years of experience under your belt, and are confident that the sounds you create are up to par with what some sample pack companies are selling, don’t be afraid to contact them, or even sell your own sample packs! Before sending your sample pack to any company or selling it, you need to make sure it’s labeled properly. 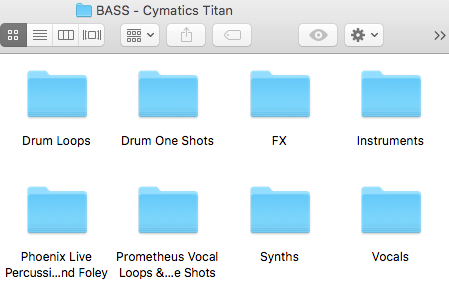 If your pack contains a mix of elements, such as drums, vocals, instruments, loops, effects, and others, you need to create custom folders so people can quickly navigate to the right section. Don’t forget to include the BPM if you’re labelling loops! This is essential so producers can select the right loops that to match the tempo of the track they’re working on. If you’re better at creating presets for synths, you could also make a Preset Sample Pack for your favorite synths, such as Serum, Massive, or Sylenth. If you’re in Serum and you used a custom wavetable to make your sound, make sure to also include that in a subfolder, so that when someone purchases your pack, they can also import the right wavetables. If you forget them, people won’t be able to use that preset. If you don’t know where to start with designing your sounds, you can check out this free 30-day Serum sound design guide which will help you improve your sound design drastically! Learn secret sound design techniques used by the Pros in our free Advanced Sound Design Guide. Once you have your sample pack ready, you need to decide how you are going to sell it and distribute it to the public. The first option is to reach out to a sample pack company to see if they’re interested in your pack. This option entails that you must comply with the conditions of the company regarding the share of profit and distribution channels. If you take this route, you will have much less flexibility in distribution and price. Most companies will work on a share that ranges between 70/30 (for the producer) down to a 50/50 split. The sale price will usually be proportionate to the size of your pack. We’re talking anywhere between 20 and 50 USD. Some companies might even want to sell it without your name on the pack. This could happen if your artist brand is not very strong, but you’re still an incredible sound designer. You can also go the independent route and sell it yourself. Keep in mind that this will take a lot more promotional effort from you, which can possibly require you to invest money (unless your artist social media presence is considerable enough that people will start sharing and interacting without any paid promotion). This route will allow you to keep 100% of the revenue and be in total control of the variables such as price, content, promotion, and release. The most common website to sell your own sample pack is Sellfy. However, if you also want to test out a free pack to see the response from your fans, you can give it out as a free download on Toneden (via Social Unlock) or platforms such as Linkfire, Hive, SmartURL, and Click.DJ. A good tactic would be to give out your first sample pack for free, gather feedback, and understand what people would like to find in your packs. Then you can start reaching out to companies with proof that you can make quality packs! Many people who have studied music production or audio engineering have the skills and trained ears that most beginner producers can’t match right away. If you are one of these producers, and get complimented for the quality of your mixdowns and the polished sounds of your tracks, then you should consider offering these services to other producers for the right price! How do you know if you have the skill to offer these services? A good way to analyze your skill is to compare your tracks to the ones of the artists you look up to. If they’re up to par or sound even better, that’s a good indication that your mixing and mastering skills are on point. If you come across an artist that in your opinion has great talent, but his track doesn’t sound as polished and mixed well, reach out to them! Tell them you like the track and you could help them out achieving a more professional sounding mix. As an example, let’s look at our last point on creating a personal website to detail your services. We’re going to look at how Hyperbits organized his website. As an experienced producer with releases on some of the biggest labels in electronic music, he offers a variety of services for producers of all levels. From a comprehensive masterclass, to affordable mixing and mastering services, Hyberbitsmusic.com is a prime example of clean website that clearly showcases what’s being offered by the artist. He includes a critical element that should also be present on your website, a section on finished work that showcases a quality standard. This can include your own production, or other producer’s tracks you’ve worked on. The point is to give your audience a taste of what you can offer and entice them to pay for your services. Also, if you’re comfortable and experienced with making different genres, you could offer ghost production services. Ghost production is essentially producing a full track and selling it to other people so they can put their name on it and claim it’s their own work. Remember, this way you won’t be credited for your work in most cases, but if you’re not interested in the fame, it’s a good option for you. This is a touchy topic, as some industry professionals consider it unethical, while others have accepted it. If making Hip Hop tracks is your calling, then why not try selling some of your beats to rappers and vocalists? There’s a huge market for hip-hop beats within that community, as rappers and artists are in constant need of backing tracks to sing or rap on. Even if you’re not a full-time hip-hop producer, but you produce quality music, you can adapt to making beats, and can add your own unique touch and influences from other genres. If you’re not sure where to start on making hip-hop, here are eleven essential tips! Depending on how serious you are in developing your artist’s image towards this kind of service, there’s different options you can adopt. On the other hand, you could also build a website to develop your own brand as a beatmaker/producer. Nowadays, it’s very easy to set up a free one with platforms such as Wix, Wordpress, and Bandzoogle. Alternatively, you can also put up short previews on Soundcloud and accept direct requests. Just make sure there’s no way for people to steal the beat off your page. Either upload a shorter version of the loop or add an audio tag on top of it in different sections of the beat. Selling merchandise is another big part of an artist’s source of income. By building up your personal brand and setting yourself apart from other producers, you can start thinking about selling more than just music. Whether you’re only building your artist profile, or a collective/label, you can develop a unique image and create a line of products around that. You don’t need to be a huge artist to set up a merchandise shop, but you must have a loyal group of followers that you know will want to purchase products with your name on it. Selling clothing has become one of the major sources of income for artists, as die-hard fans love to rep their favorite artists with their friends or when they go to shows. In fact, most big artists have an online store with a variety of products. There are also a lot of smaller labels and artists (laxcity and Inner Ocean Records) who set up shop selling limited edition cassettes, vinyls, and accessories as well as clothes. Once you have your design ideas ready, you can set up an online store easily through your website, or platforms like Squarespace, Shopify, Big Cartel, WooCommerce, Wix, and WordPress. For example, on Wix it’s as easy as adding it as an app on your page! One thing we recommend, is to carry a variety of products of different price ranges so that budget is not a problem for the consumer. You can offer cheap products such as stickers, keychains, mugs, and hats, as well as more high-end T-Shirts, sweatshirts, and jackets. Last but not least, you can look into getting club shows if you’re into DJing, or perform live if your music has organic components and instruments. You should start locally, getting yourself known in your area to gain experience and slowly grow as a live performer. Remember, playing live is a whole new ball game compared to producing music. Some producers don’t want to perform live, but it’s highly recommended as it is a great way to showcase your music to the public! The easiest way to getting your first shows is going to the local bars and venues in your town and ask if they could host you for a show. Let them listen to your music and explain politely what you do and why you want to play live. If the music is good and the word starts spreading that you are a talented DJ/live performer, more venues will start reaching out to you, and you will also have the ability to reach out to bigger clubs and venues due to your proven record as live performer. Be also prepared to play for free for your first shows, we all need to start somewhere. Just be patient and persevere while you’re climbing the ladder to the top! You can also use platforms such as Myafton, ReverbNation to scout for venues near you. Remember that you can do more than one! The more doors you leave open, the more opportunities you will come across. If you can produce tracks fast, why not ghost producing or sell beats on the side? While if you want to focus more on your personal brand, find live shows and develop your merchandise line! What other ways have you come across to make money with music production? Make sure to comment below and let us know.